The stacking paper softwall by molo design. Sometimes, when the world gets too stressful, don’t you wish you could curl up in a fluffy cloud? The home products by molo design would make a dream home of the dreamiest kind—wrapping you in glowing softness. “Soft” is the word of moment for the Gastown-based company. No other word quite describes their products, magical transformations of paper, cardboard, and fabric. They are flexible honeycomb creations that serve form and function alike. My friend Stacey McLachlan recently wrote an interview with the firm’s directors, Stephanie Forsythe and Todd MacAllen, for SAD MAG, and ever since I read it, I knew that my dream home needed a softwall. This cardboard isn’t your regular cardboard. Normally when I think of cardboard (which is frequently, believe you me), scraping, cumbersome, roughly cut stage props come to mind. I think of badly painted cardboard trees, or boat facades with cardboard waves undulating beneath them that would poke you in the eye if you got anywhere near them. But molo takes paper fibre (100% recycled, as a bonus) in a much more aesthetically pleasing direction. Who knew cardboard could be soft and fluid, curvy? Molo design’s “soft” line are room dividers, lighting, seating, shelving, and sound insulation, sometimes all-in-one. 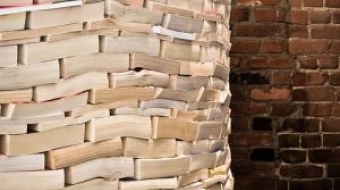 My favourite is the stacking paper softwall. It clips together with unseen magnets, and you can accordion each strip of wall on top of the others as you please, arranging the wall to curve just as you like it. You can form cosy little nooks in your dream home, and change them whenever suits you. Then, if you want, you can light the softwall from inside with LED lights. 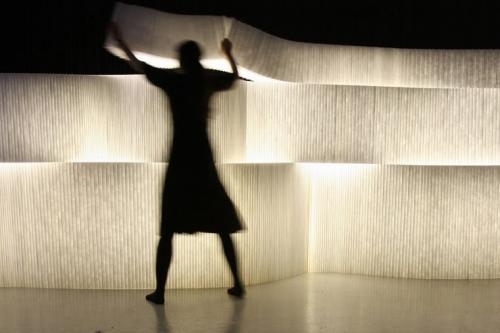 I’d also be tempted to buy molo’s urchin softlight and a cluster of cloud softlights or two. My home would be as dreamy as they come. The LYNNsteven Boutique in Gastown, opened early this year, challenges the definition of a well-rounded book collection. 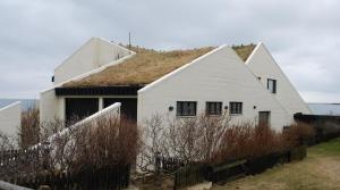 On my recent visit to Scandinavia, I observed several examples of homes with grass rooftops.